It will be a BIG night at Perry Meridian High School Friday night and as the saying goes there’s something for everyone. 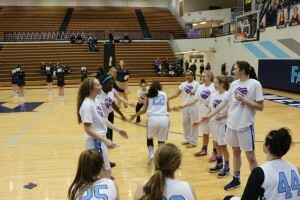 Getting underway first is a district rivalry girls basketball game between Perry and Southport. Junior Varsity plays at 6:00 pm followed by the Varsity game. Tickets are just $5 dollars at the door. 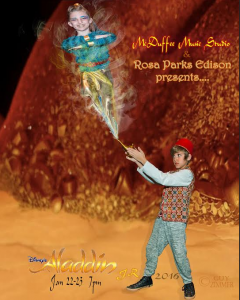 At 7:00 pm the curtain goes up on the first of two performances of Disney’s Aladdin Jr. put on by 4th and 5th grade students from Rosa Parks Elementary. A second performance will take place Saturday at 7 pm. Tickets for the play are $8 dollars. Be sure to arrive early for a prime parking spot.